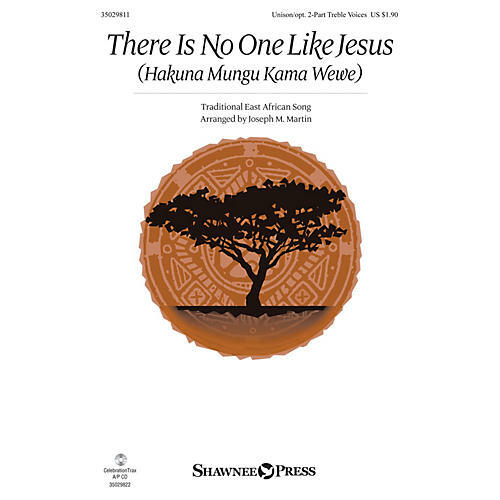 Uses: General, Missions Scripture: Psalm 103:1-5; Isaiah 45:5-7; Romans 5:6-11 Filled with rhythmic vitality and melodic charm, this popular African worship song instantly captivates both singers and listeners alike. Both English and Swahili texts are included providing flexibility for singers of all ages and skill levels. Optional percussion instruments also enhance the multicultural experience of this dynamic piece. Available separately: Unison/opt. 2-Part Treble, CelebrationTrax CD. Duration: ca. 2:19 ScorePlay - click to view score with recording.